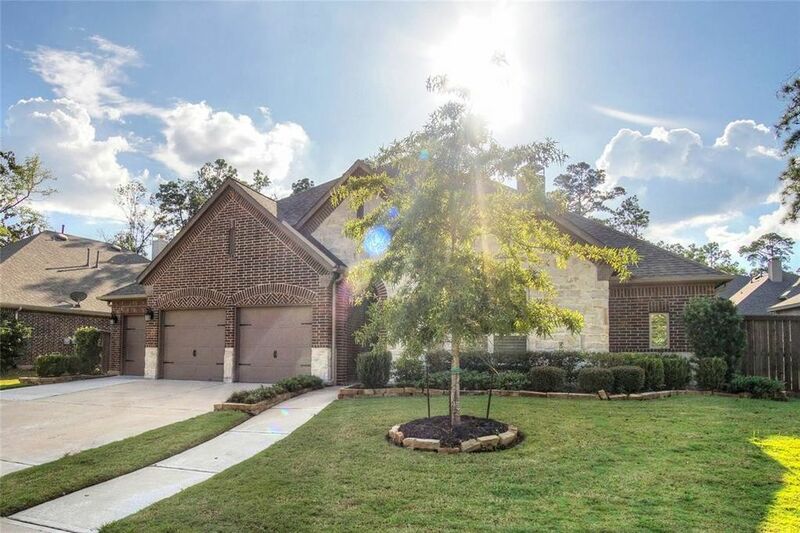 This gorgeous 4 bedroom 3 bath home is one must to see to believe! After passing through the tiled front entryway you are greeted by an elegant formal dining room with hardwood floors that is perfect for entertaining! The huge family room is pre-wired for surround sound & features tile flooring & a cozy tile fronted fireplace! Just past the family room are French doors leading into a large executive study! Whipping up your favorite recipes is a real treat in the beautiful kitchen equipped with tile flooring & backsplash, granite countertops, a walk-in pantry, lovely wood cabinets & a central island that that doubles as a breakfast bar! At the end of the day, withdraw to the spacious master suite complete with a vaulted ceiling, a wall of windows & a luxurious bathroom showcasing double vanities, a walk-in shower, a garden soaking tub & a large walk-in closet with direct access to the utility room! Large backyard with a covered patio & a never used built-in grill! Don't miss out! Directions: From TX-8 Beltway S, turn left onto W Lake Houston Pkwy, turn left onto Madera Run Pkwy, left onto Sequoia Kings Dr, house is on the right.